Welcome! The lobby of the Deranged L.A. Crimes theater is open! Grab a bucket of popcorn, some Milk Duds and a Coke and find a seat. 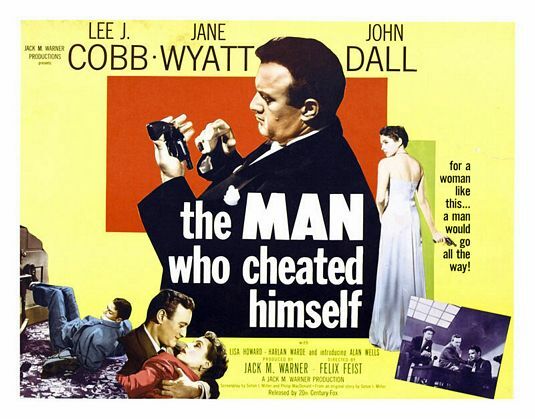 Tonight’s feature is THE MAN WHO CHEATED HIMSELF, directed by Felix Feist and starring Jane Wyatt, Lee J. Cobb, and John Dall. Bitter because his rich wife Lois is going to divorce him, Howard Frazer buys a revolver and concocts an elaborate scheme to murder her and make her death appear to be the work of a burglar. 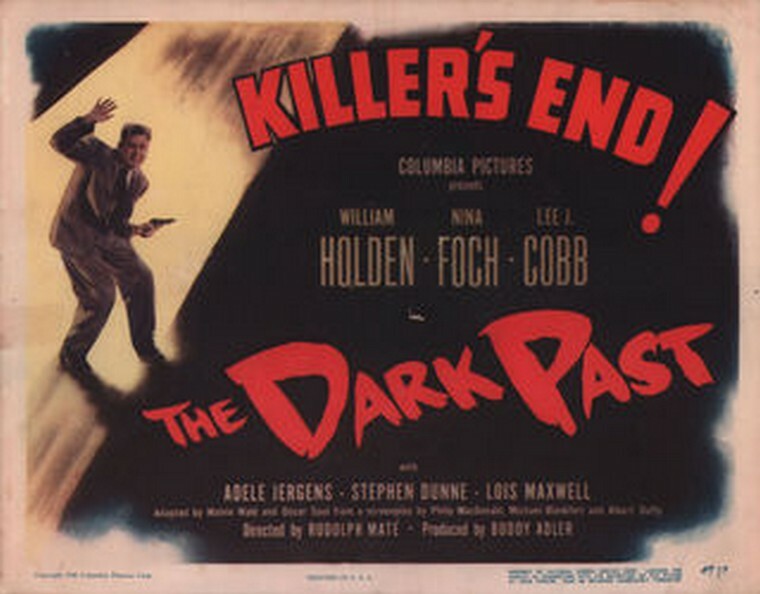 After Howard leaves home early for the airport for a trip to Seattle, Lois discovers his purchase and telephones her boyfriend, homicide lieutenant Ed Cullen. Instead of Ed, however, the phone is answered by his younger brother Andy, who has just joined the homicide bureau. When Andy tells Ed that a woman called for him and then hung up, Ed guesses that it was Lois and goes to her house. A beautiful dame, a greedy soon-to-be ex-husband and a couple of homicide cops — a recipe for murder and mayhem! Enjoy the movie!